The FBI's Internet Crime Complaint Center issued a warning on Thursday about emails that consumers have been getting claiming to be from IC3 but are really from scammers. The emails claim that the victim is the subject of a criminal report and that charges are forthcoming. They are then told that they have one or two days to respond or risk arrest, IC3 said. Those who respond are told they have to send money via prepaid cards if they want to avoid prosecution. IC3 said it would never said an email to someone threatening arrest for failing to reply to an email. Threatening emails purporting to be from the FBI and related agencies is not new, but such scams often change forms. Chances are you've gotten such an email. Perhaps it went to your spam filter. That's where it belongs. But reading through these scam emails can be educational and amusing. One of them is below. The gist of it -- and its ilk -- is that you supposedly are due a big inheritance (from no one you know, of course) and they've tracked you down. If you respond, and plenty of consumers do, you'll be asked to send money to cover the taxes or fees that are due -- and then you'll get your millions. Never respond to unsolicited emails or ever send money to someone you don't know using either a wire service like MoneyGram or Western Union or by sending money using a prepaid card like Green Dot MoneyPak. Money transferred by those methods is the same as sending cash. It can't be recovered. We believe this notification meets you in a very good present state of mind and health. 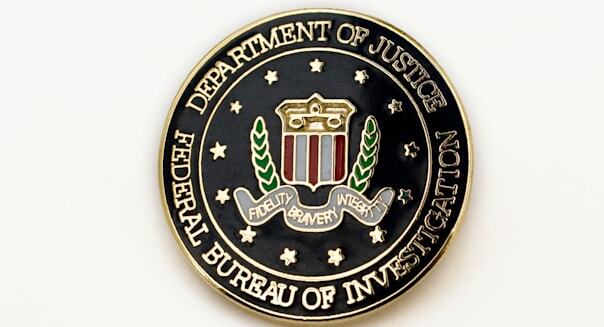 We the Federal bureau of investigation (FBI) Washington,DC in conjunction with some other relevant Investigation Agencies here in the United states of America have recently been informed through our Global intelligence monitoring network that you presently have a transaction going on with the U.S. Department of Treasury as regards to your over-due inheritance payment which was fully endorsed in your favor accordingly. It might interest you to know that we have taken out time in screening through this project as stipulated on our protocol of operation and have finally confirmed that your inheritance payment is 100% genuine and hitch free from all facet and of which you have the lawful right to claim your funds without any further delay. Having said all this, we will further advise that you go ahead in dealing with the U.S. Department of Treasury office accordingly as we will be monitoring all their activities with you as well as your correspondence at all level. We were also made to understand that a lady with name Mrs. Cathie C. Jones from Florida has already contacted them and also presented to them all the necessary documentations evidencing your claim purported to have been signed personally by you prior to the release of your inheritance fund valued at US$10,500,000.00 (Ten Million Five Hundred United States Dollars), but the U.S. Department of Treasury office did the wise thing by insisting on hearing from you personally before they go ahead on wiring your funds to the Bank information's which was forwarded to them by the above named Lady, so that was the main reason why they contacted us so as to assist them in making the investigations. In addendum, also be informed that we recently had a meeting with the Executive Secretary of the U.S. Department of Treasury, in the person of Jacob Lew with some of the top officials of the Ministry regarding your case and they made us to understand that your file has been held in a base depending on when you personally come for the claim. They also told us that the only problem they are facing right now is that some unscrupulous element are using this project as an avenue to scam innocent people off their hard earned money by impersonating the Executive Secretary and the U.S. Department of Treasury office. In your best interest, any message that doesn't come from the above official email address should not be replied to and should be disregarded accordingly for security reasons. Meanwhile, we will advise that you contact the U.S. Department of the Treasury office immediately with the above email address and request that they attend to your payment file as directed so as to enable you receive your inheritance funds accordingly. Ensure you follow all their procedure as may be required by them as that will further help hasten up the whole procedures as regards to the transfer of your funds to you as designated. Also have in mind that the U.S. Department of the Treasury equally have their own protocol of operation as stipulated on their banking terms. Once again, we will advise that you contact them with the above email address and make sure you forward to them all the necessary information which they may require from you prior to the release of your fund to you accordingly. Thank you very much for your anticipated co-operation in advance as we earnestly await your urgent response to this matter.